When it comes to the top developers on Facebook, there are a handful that are consistently topping AppData’s developer leaderboard: King, Zynga, Microsoft and YouTube. Here are today’s top developers, according to monthly active users (MAUs). At first glance, nothing on this list seems unreasonable. King has been dominating the Facebook app market for a while now. Zynga, Microsoft and YouTube have consistently ranked as top developers for the past month. However, the developer that calls itself YouTube is not YouTube at all, and Google seems to have finally caught on. However, the app (which goes by the name of YouTube) and the developer (also called YouTube), are not at all affiliated with the video site. The app curated YouTube videos on an unrelated domain, and allowed Facebook users to watch videos through the app. According to DeMarte, the easiest way for Google to deal with the issue as the trademark owner is to complain to Facebook that the app violated the social network’s 3rd party trademark rules. That seems to be exactly what Google has done, as the app is now inaccessible. While there is nothing wrong with curating videos, what these developers are doing goes beyond that, explained DeMarte. Even though the app was taken down by Facebook, those that have already downloaded it can still access the app. It’s safe to assume that a significant portion of the app’s user base thinks that it is affiliated with YouTube. With YouTube’s increased Google+ integration, it seems unlikely that the video-sharing site would develop an app for Facebook, a G+ competitor. However, the fact that this app has achieved such huge growth speaks to a high demand for such a product on Facebook. 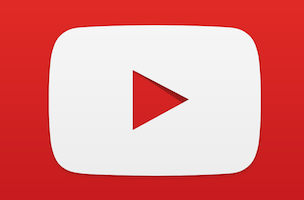 Would YouTube consider developing its own legitimate app to satisfy these users?